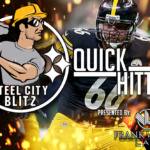 The Pittsburgh Steelers should be in the market for an edge rusher with the depth at the position leaving alot to be desired. With Bud Dupree’s long term future up in the air due to health and on-field play not up to par thus far, TJ Watt could use a new counterpart. 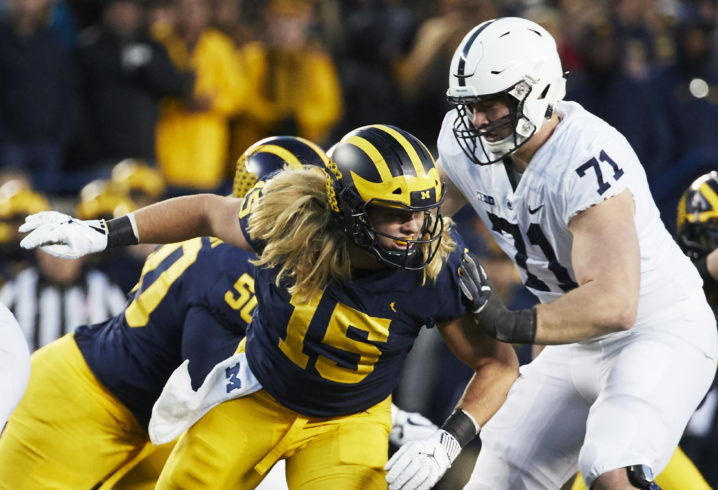 Today, we take a long look at Chase Winovich. Efficient hand usage. Excels as a pass rusher using an inside move. Plus football IQ. Plays with nonstop tenacity and want-to. Has a good shoulder dip, keeps balance through the contact and doesn’t run up the arc. Relentless in his hustle to the ball carrier. Played on both sides, over the left and right tackles. Turns a sharp corner to the quarterback on pass rushes. Keeps his eyes up and looks for the ball carrier while being blocked. Will be 24 on Draft Day. Not a great athlete has the tendency to not get to the quarterback or ball carrier because of a lack of speed. Can get over-matched at the point of attack, needs to gain play strength. Can get bullied if his pass rush move is figured out quickly. Lacks a legit counter move. Short-area quickness leaves much to be desired, shifty running backs and quarterbacks will be able to escape him at the next level. Not very quick off the ball, doesn’t have an explosive first step. Didn’t notice many passes defensed. Rarely in coverage, couldn’t get a great beat on his ability in this area due to lack of experience. 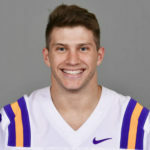 After watching Winovich, I saw a mid-round prospect who may benefit due to a poor overall EDGE class and get drafted earlier. His motor and bend are his calling cards, but his lack of a counter move, experience in coverage and his age lead me to believe he wont taken until late day two. He should start out as a special teams player and earn his snaps defensive snaps accordingly. If the Steelers are looking for a mid-round prospect at the edge spot, I think they’ll go in another direction due to his age.